It’s rare you’ll find me shopping at the big liquor barns these days. I much prefer patronising the smaller independently owned stores for my craft beer, wine and occasional bottle of spirits. 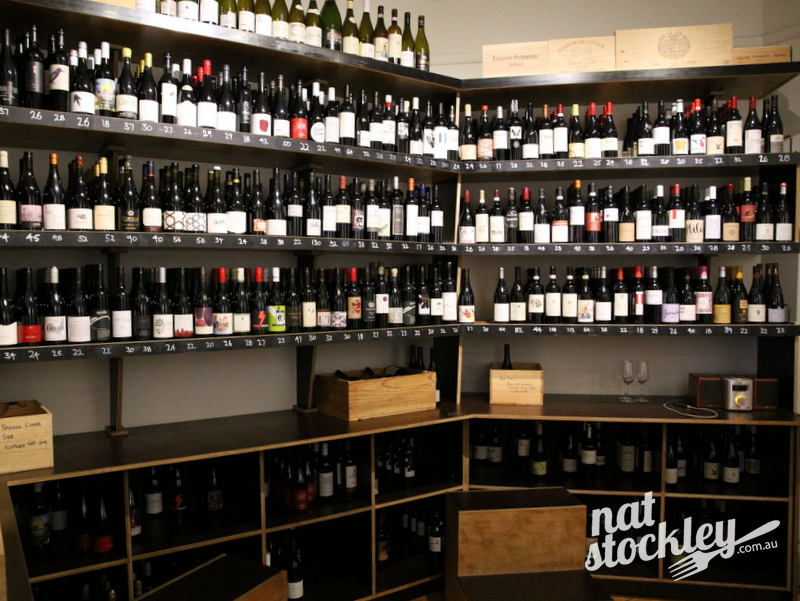 I’ve uncovered some fabulous specialist wine stores across Melbourne over the years and still continue to discover such gems from time to time. These boutique establishments tend to carry offerings from smaller, often lesser known wine producers and can provide the personalised service and wine knowledge that ‘s illusive at the supermarket owned chains. 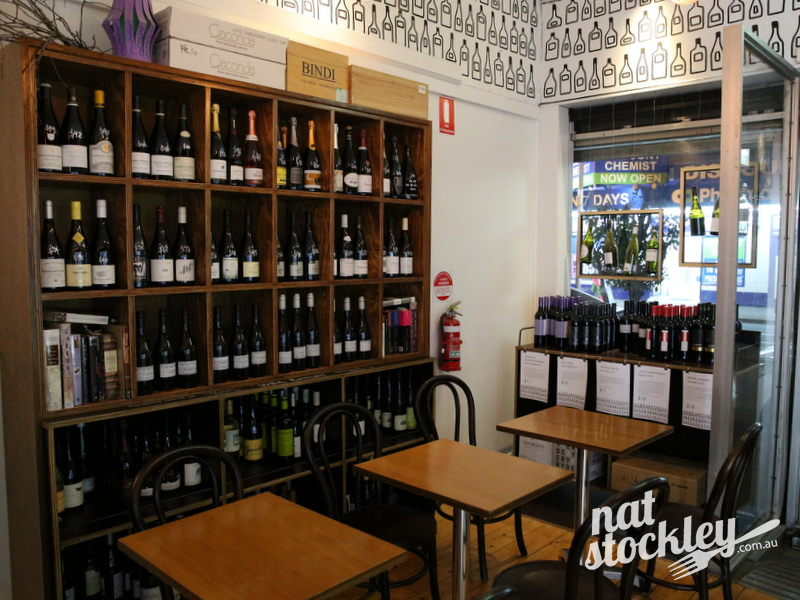 On such spot is Brunswick East Wine Store on Lygon Street, which opened as a retail wine store in October 2014 and after obtaining an on-premises license added a wine bar in April 2015. This combination of retail and wine bar within the same space is unquestionably one of my favourite ways to experience wine. 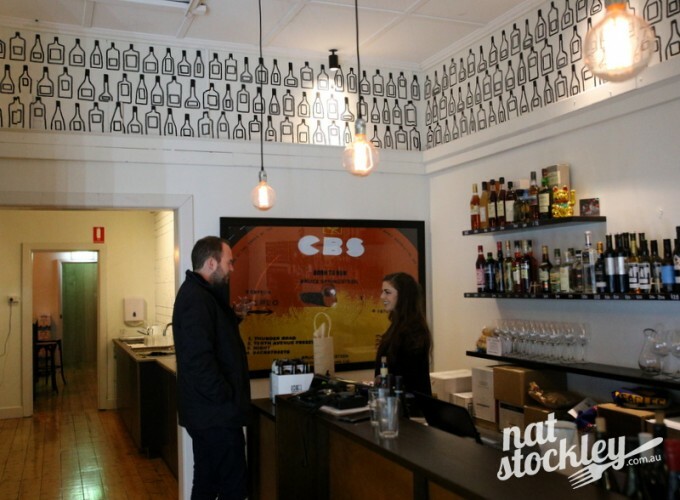 1084 Bottles adorn the walls of Brunswick East Wine Store having been painstakingly hand painted by proprietor Tim Cohen prior to opening for business. 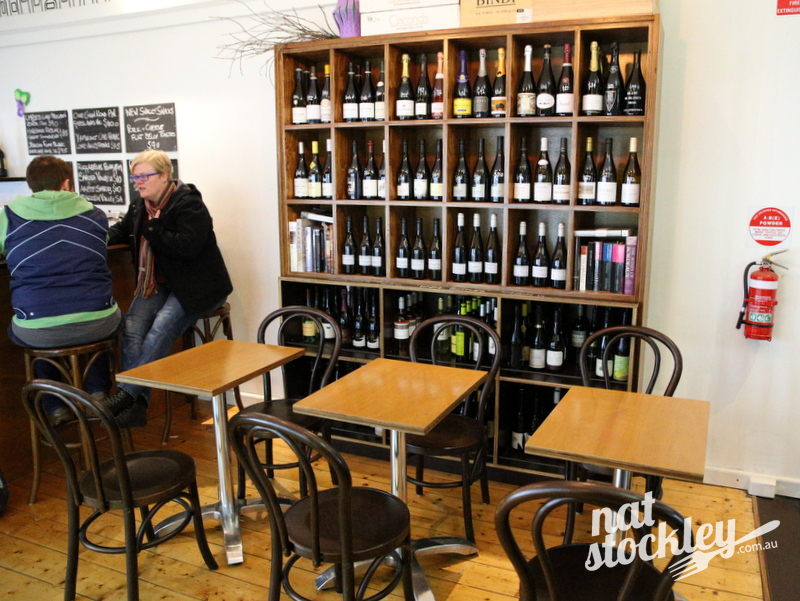 Brunswick East Wine Store is owned and operated by Tim Cohen who has spent almost two decades totally immersed in wine. Tim completed a Bachelor of Science in Viticulture & Wine and has held sommelier roles at Vue de monde & The Point Albert Park and worked in retail at Seddon Wine Store. Tim continues to assist ‘hands on’ with aspects of wine production at Bindi Wine Growers. Tim undoubtedly knows his stuff and his approachable, likeable manner means he’s in his element sharing all that knowledge with his customers. 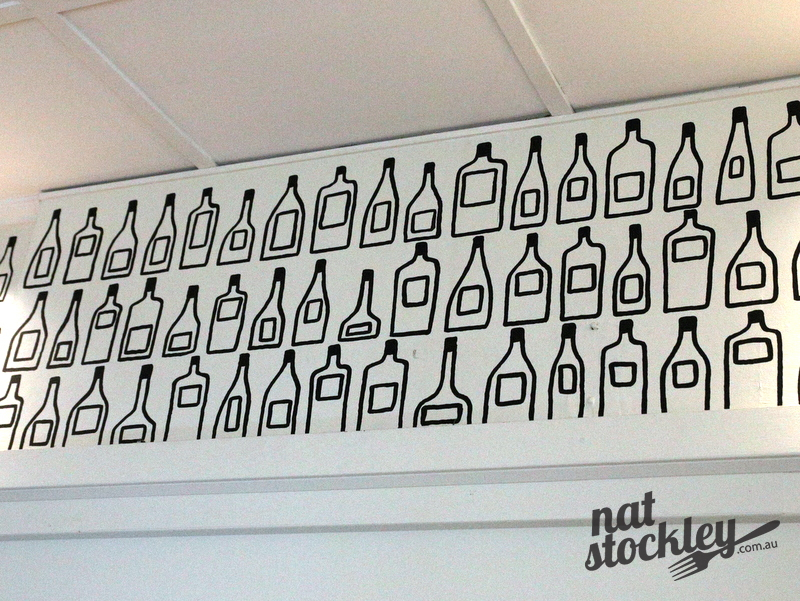 Every single bottle of wine has been personally vetted by Tim before making it onto the shelves. 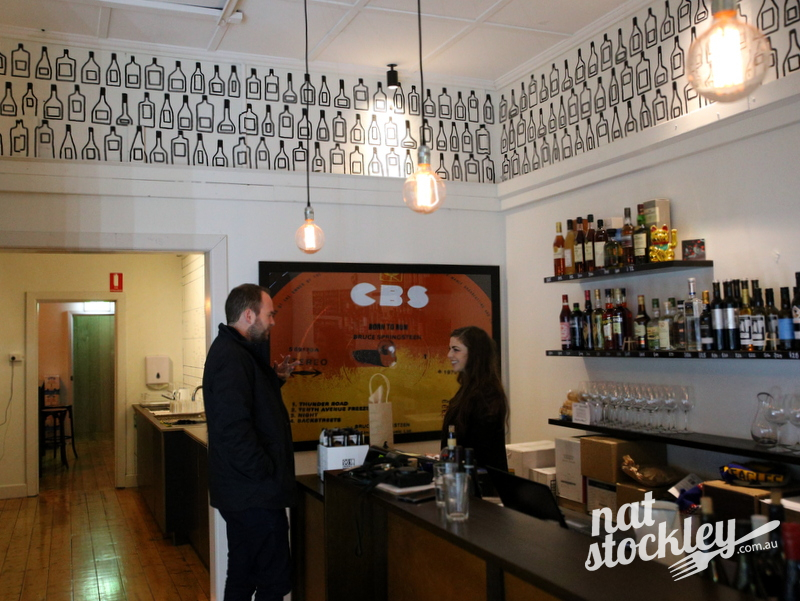 The store aims to stock wines from smaller independent producers and offer great value for money. In addition to wine, there’s a decent assortment of craft beer and the odd small batch boutique spirit. The store has a novel way of determining which wines will be served by the glass. Each Sunday, the first 4 whites and 4 reds chosen by their customers are poured during the coming week. 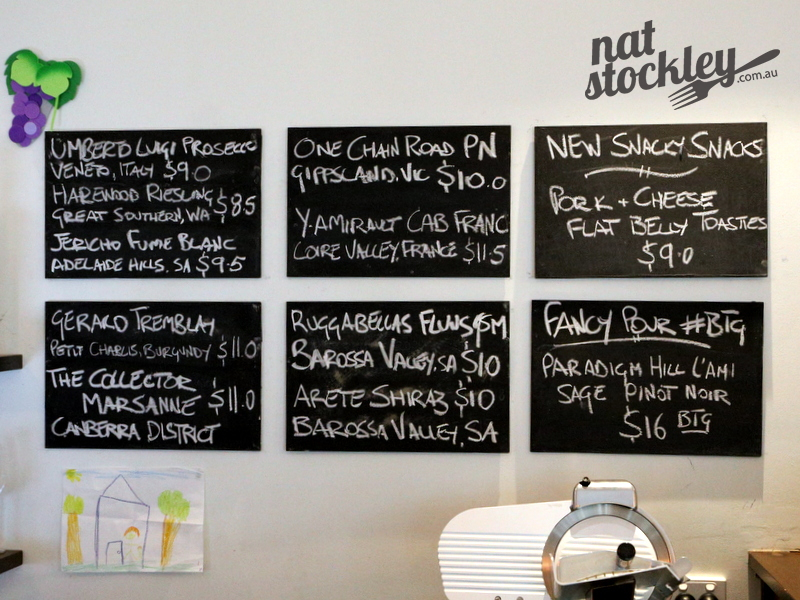 When I visited, wines by the glass on pour were priced between $8.50 – $11.50. If nothing by the glass takes your fancy, you’re welcome to pick any bottle off the shelf to consume onsite for a very reasonable $10 supplement on top of the retail bottle price. On weekends, Tim habitually cracks open something special from his stash and makes it available by the glass. These premium wines work out around $20 – $30 per glass, but provide an opportunity for customers to indulge in some highly rated wines of distinction without having to part with hundreds of dollars. There’s a short menu of bar snacks based around cheese and charcuterie that gets changed up regularly. 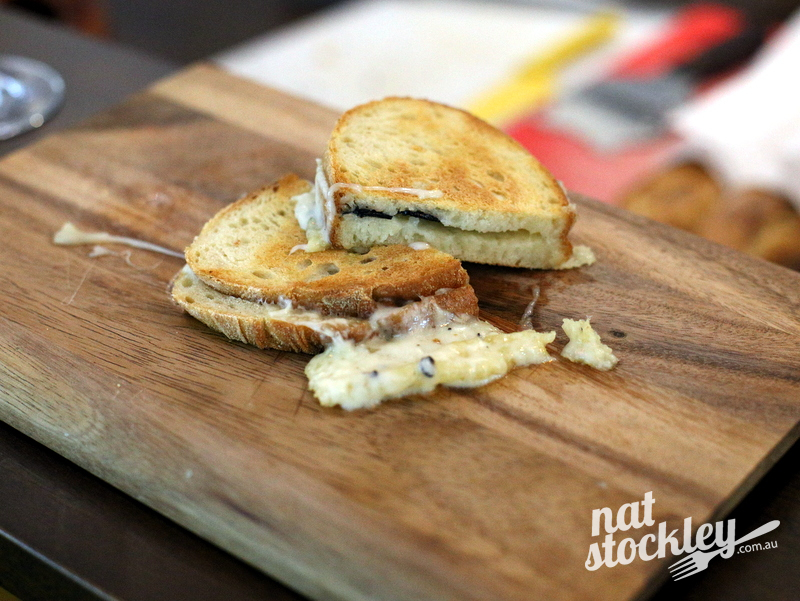 On the night I visited they were serving a very indulgent cheese and black truffle toasty. 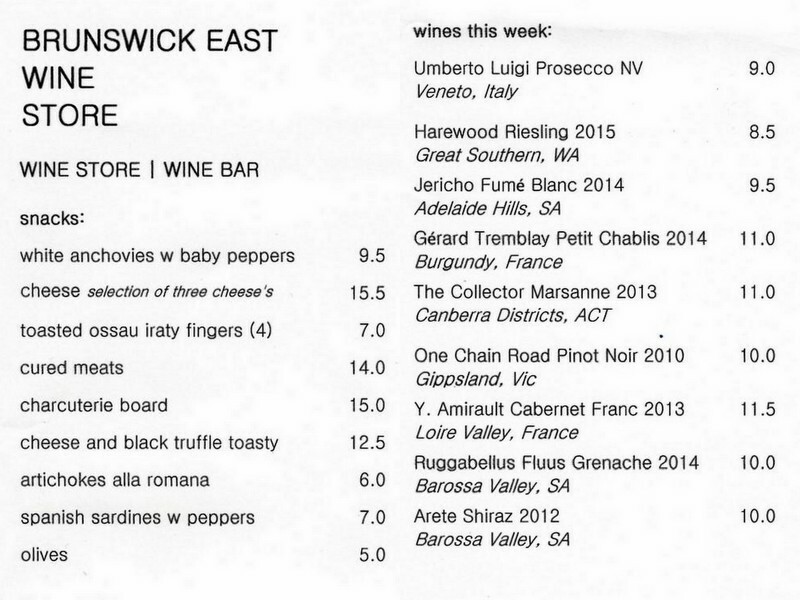 Whilst I don’t reside close enough to Brunswick East Wine Store to make it my local, I can see myself having to make a detour on occasion to partake in a glass or two at the bar or to grab a few bottles to take home.